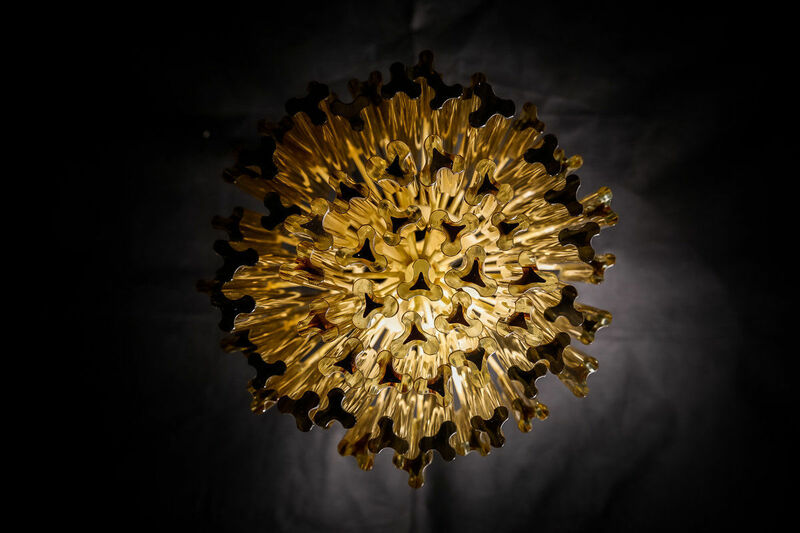 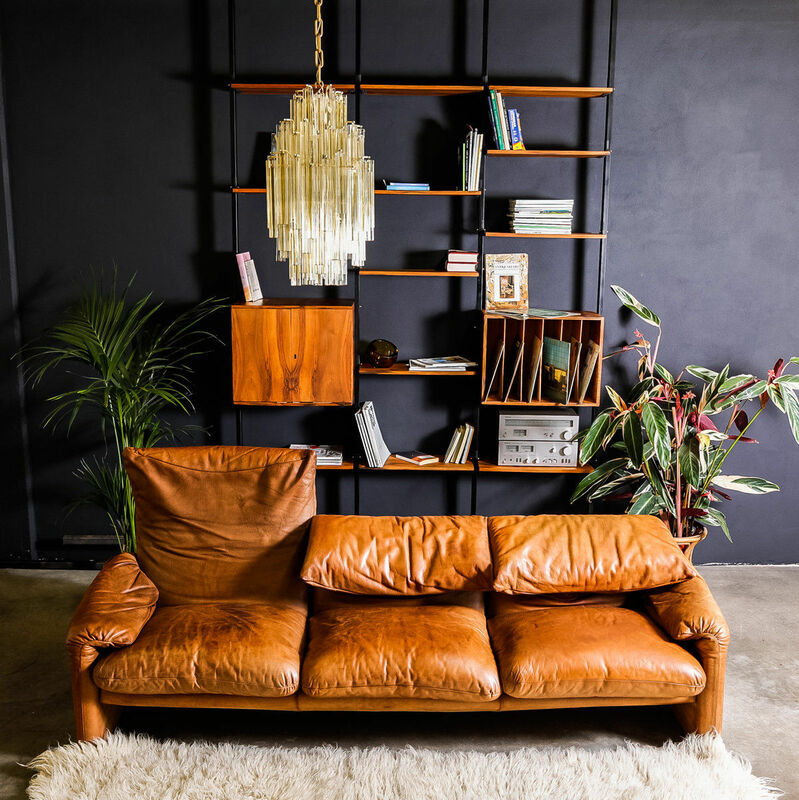 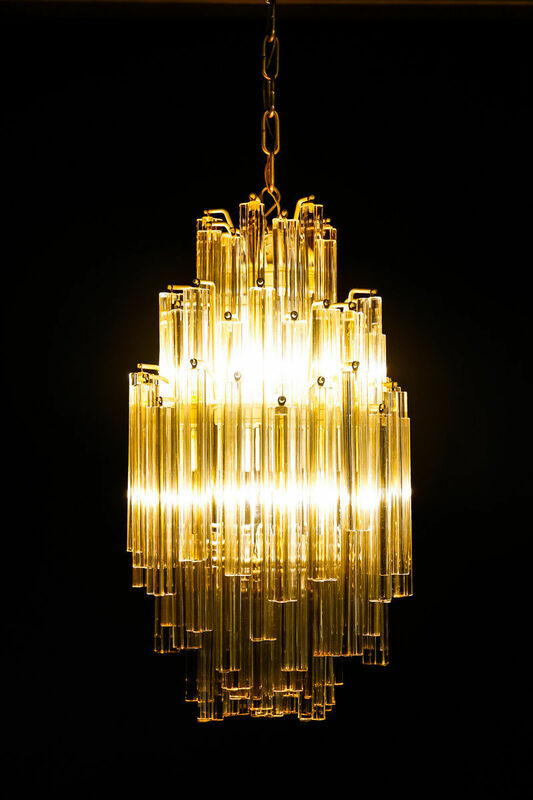 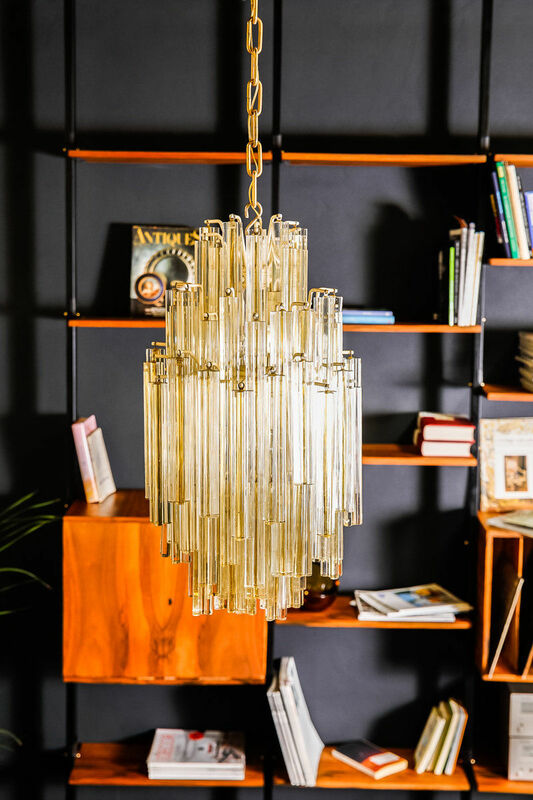 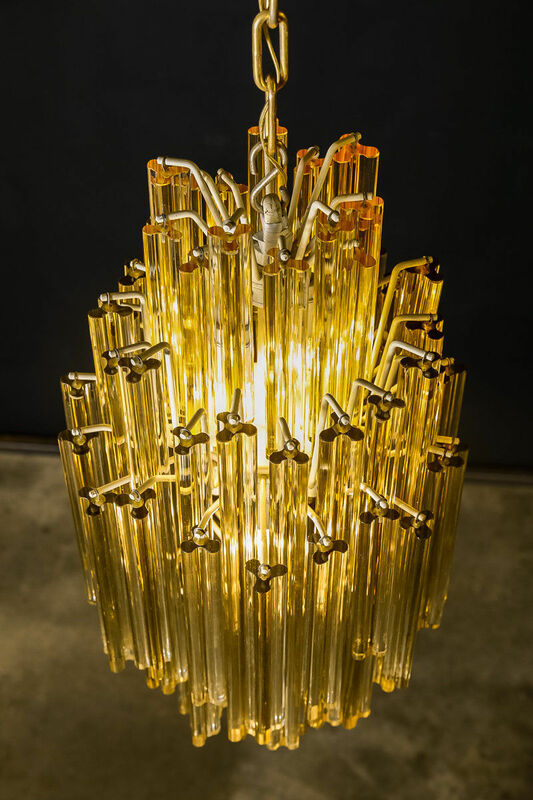 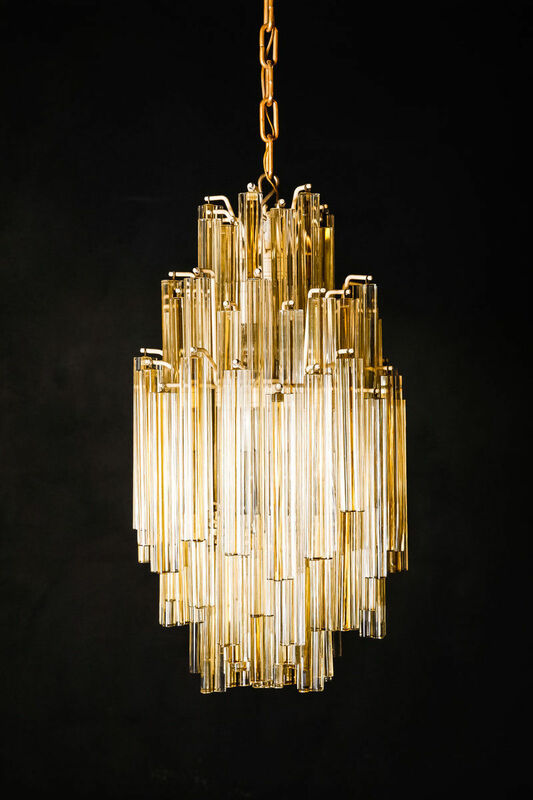 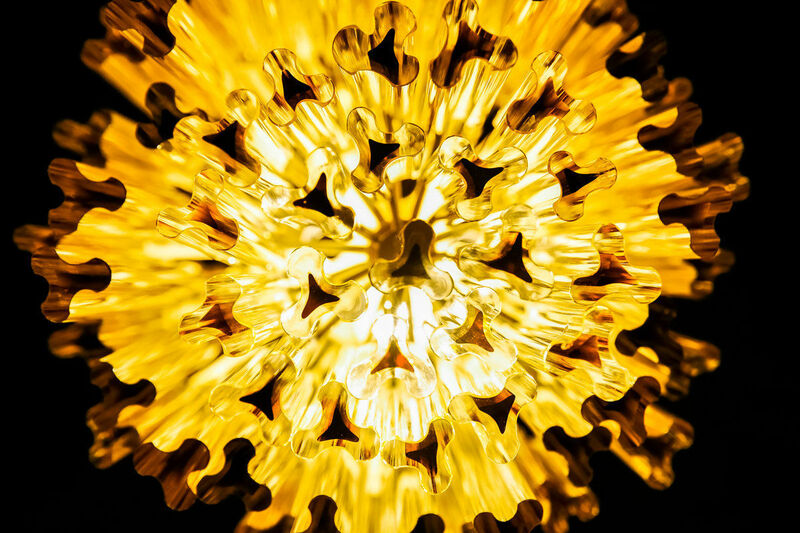 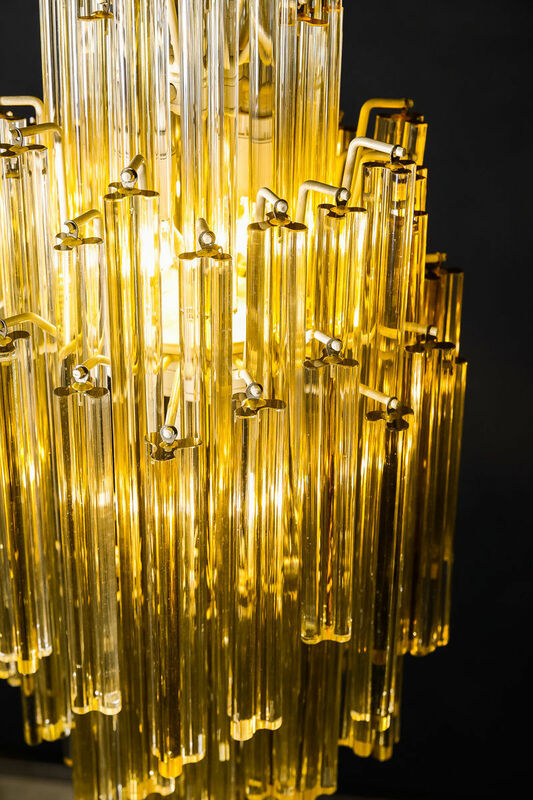 Venini Murano Glass Cascading Chandelier | Castorina & Co.
Vintage Chandelier by Venini. 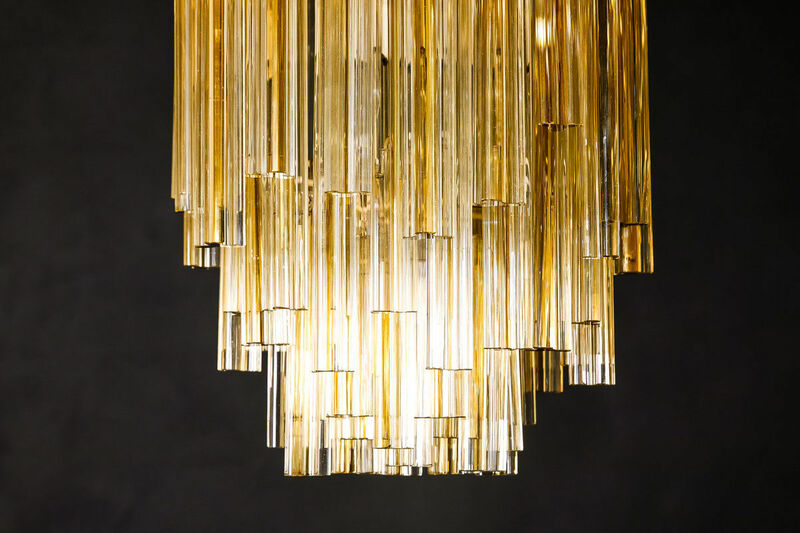 Each glass prism is handmade and hung in a descending form to create a cascading effect. 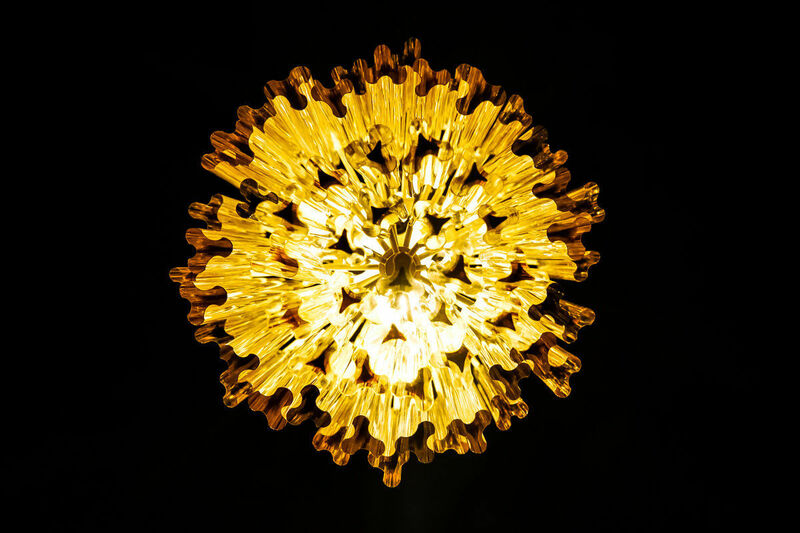 The Murano glass is amber in colour.